Fraser Valley/North Vancouver – Jeff Bartlett is a Vancouver Firefighter on a mission. 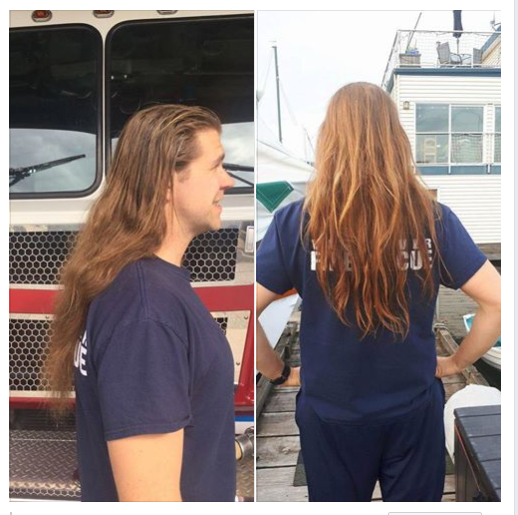 Not just saving lives and putting out fires. When he takes the firefighter helmet off and dons another hat, he is trying to help out BC Children’s Hospital. 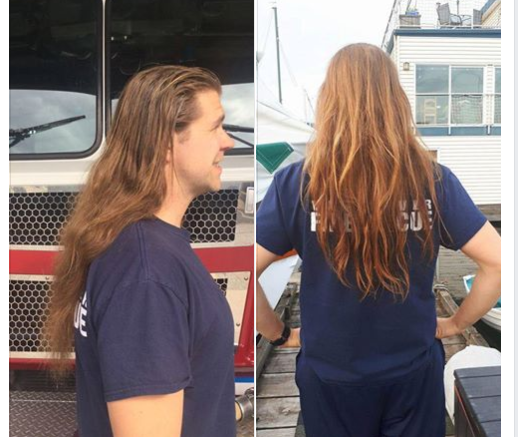 By cutting off his hair. ….and he has a lot of it ! Jeff is part of Wigs for Kids BC (W4K BC) which helps kids living with cancer, live better. A proudly volunteer-run organization, W4K BC provides funding to cover the cost of custom-made human-hair wigs for children and teens at BC Children’s Hospital who have suffered hair loss due to cancer treatment or other serious illnesses. Donations to W4K BC also help families pay for medications and feeding supplies that are essential for treatment but not covered by their medical plan. When a child has a serious illness it takes an enormous toll on the entire family–both emotionally and financially. The assistance W4K BC provides makes the family’s burden a little lighter so they can focus more of their time and energy on caring for their sick child. By contributing to W4K BC, you are making a tremendous difference in the lives of children living with cancer – and their families – across the province. You can go to the fundraising page here. The Fraser Valley connection comes from Jeff’s mother-in-law, Valley Realtor Hanne Selby. Mind you, there are many Valley kids who have, over the years, benefited from the staff and nurses at BC CHildren’s Hospital. Be the first to comment on "Fundraiser For BC Children’s Hospital – Human-Hair Wigs For Children And Teens (Interview)"